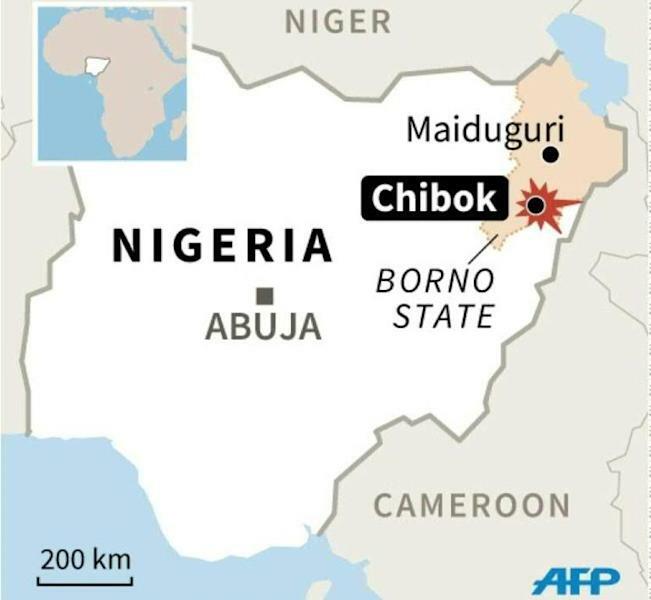 Kano (Nigeria) (AFP) - At least 13 people were killed on Wednesday when three suicide bombers blew themselves up in the northeast Nigerian town of Chibok, where Boko Haram kidnapped more than 200 schoolgirls. The blasts happened at about midday (1100 GMT) as the remote town in Borno state was packed with traders from surrounding villages for the weekly market, Chibok elder Ayuba Chibok told AFP. "Ten died on the spot and another one died on the way to hospital," said health worker Dazzban Buba, who volunteered to treat the injured at hospital. "A woman and a child died as they were being admitted (to hospital), so now the death toll stands at 13. Thirty others were injured, 21 critically." The blasts bore the hallmarks of Boko Haram, which has repeatedly hit "soft" civilian targets such as markets, mosques and bus stations as well as military and civilian vigilante checkpoints. Chibok came to prominence in April 2014 when Islamist fighters stormed a boarding school and kidnapped 276 girls, causing global outrage. 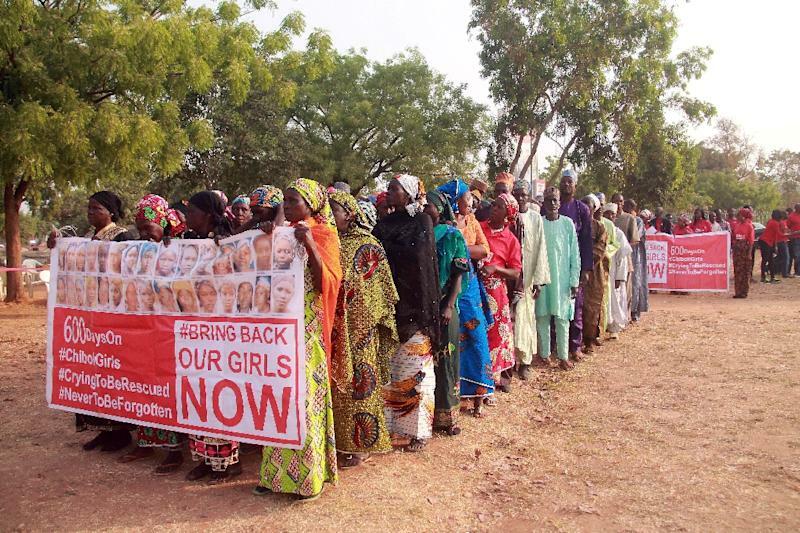 Fifty-seven girls managed to escape in the immediate aftermath but 219 are still being held and have not been seen since they appeared in a Boko Haram video in May that year. Chibok was briefly overrun by the Islamic State group-allied rebels in November 2014 but recaptured by the military after several days. Ayuba Chibok and Buba both said Wednesday's blasts were suicide attacks and had prompted terrified residents to lock themselves inside their homes or flee in fear of repeat attacks. Buba said the first explosion, at a checkpoint where people coming into the town were being searched, was thought to have been carried out by a young boy. But identifying the attacker's age was difficult, as only his legs were recovered. The second, at the market, and a third nearby were carried out by women, he added. Buba said he rushed to help his brother who was injured in the first blast in the Bamzir Road area of the town. The second blast happened shortly afterwards, fitting a pattern of Boko Haram suicide attacks with multiple bombers setting off their devices almost simultaneously. But Buba said it was still unclear whether the third bomber deliberately detonated her explosives or whether the device was triggered when troops opened fire as he fled. The 30 injured were mostly suffering from burns and fractures, and that nine had been discharged, he added. President Muhammadu Buhari, in Kenya on a three-day state visit, made no direct mention of the Chibok attack at a memorial service to commemorate Kenyan soldiers killed by Shebab militants. But he told the congregation: "Terrorists should not have a place in our communities, villages, towns, cities and countries. "We must all rise against the culture of intolerance, hatred and extremist ideologies, which drive terrorism." Recent weeks have seen a lull in Boko Haram attacks, with only three recorded in Nigeria this month but those that have occurred underline the difficulty in protecting hard-to-reach rural areas. The insurgents raided a village in Yobe state on Sunday, killing one man, while on January 11, another raid in the Adamawa state town of Madagali left seven dead. Seven people were killed in a raid and suicide bomb attack in Izgeki village on January 5. Gunmen also looted food and burnt a large part of Nchiha village near Chibok earlier the same day. 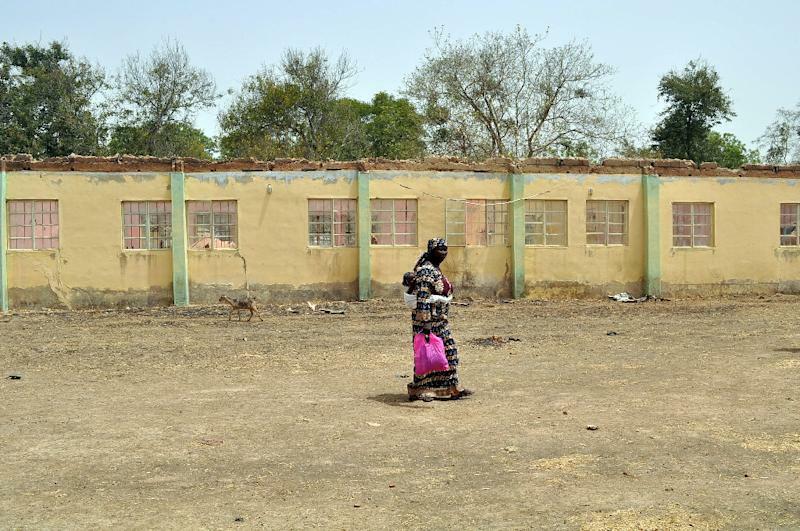 On December 6, there was a similar attack in Takulashi village, also near Chibok, which again saw fighters raid food and steal more than 200 cattle. Buhari on December 24 declared the rebels were "technically" defeated but at least 66 people were then killed in raids and suicide bombings in the days following. According to an AFP tally, more than 1,650 people have been killed since Buhari came to power in May last year, vowing to crush the insurgency, which has left at least 17,000 dead since 2009. On Monday, 32 people were killed when at least three suicide bombers blew themselves up at a market in Bodo village in northern Cameroon.